Jordi Lippe—With more than half the world’s population living in cities, it seems almost impossible to find some peace and quiet these days. Sadly, street noise, cellphones, and traffic provide a constant soundtrack to our lives. But, what if you could go someplace so quiet you could actually hear your ears ring? Believe it or not, these places do exist! Some are easily accessible, while others are off the beaten path, but either way, these seven locations are guaranteed to bring the quiet you’ve been craving. With 922,000 acres of unspoiled land and the least amount of roads in the continental U.S, quiet can certainly be found in this rainforest. Situated in northern Washington, Olympic National Park is home to an area called One Square Inch of Silence. The area, marked by a small red stone, is actually an independent research project being done to encourage people to listen to their environment. While it's said to be the quietest place in the country, you will hear the sounds of animals. But that certainly beats the sound of honking horns and noisy neighbors! Only 3,000 tourists every year are allowed to visit this remote and breathtaking landscape located in the far east of Russia, known as the Land of Fire and Ice. You can see volcanoes among the harsh terrain but will hear very little. While animals do roam and the wind does blow, the area is so vast and removed from civilization you'll finally be able to hear yourself think. Since the government is keen to protect the area, in order to visit you must sign up with one of the approved tour companies to take a helicopter day trip. Underwater caves are not only devoid of sound, they are also completely dark. Many of these caves, known as cenotes, can go for miles underground and feel like another world. Pop on a headlamp and venture into Takbeha Cenote in Tulum by swimming into the darkness. Once inside and away from the light, perch yourself on a large stalagmite, and you'll hear nothing but your breath and the occasional drip of water. Turn the headlamp off for the ultimate sensory experience. 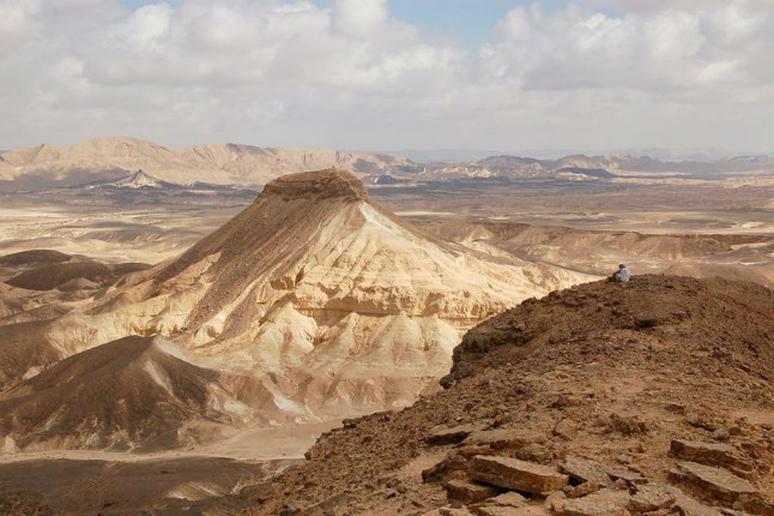 If a visit to the Holy Land is on your to-do list, then be sure to make a stop in the Negev Desert for a truly spiritual experience. Away from the busy cities of Jerusalem and Tel Aviv, travelers have to drive through this desert if heading to the southern portion of the country. But, getting away from the road and going on a hike further into the desert is where you can actually hear your ears ring from the silence. There are several spots to stop along the way, including the town of Mitzpe Ramon, which overlooks the Ramon Crater, making for an incredible view, too. Photo: Steve Orfield stood in Orfield Laboratories' anechoic chamber, considered one of the quietest places in the world on Thursday, April 19, 2012 in Minneapolis, Minn.
Sure, this place is manmade, but it's legitimately the quietest place on Earth according to Guinness World Records. The 99.9 percent sound-absorbent chamber is made of layers of concrete and steel, lined with crosshatched buffers, and the floor is suspended by mesh to account for any bit of sound. “We challenge people to sit in the chamber in the dark," lab founder Steven Orfield has said. "When it’s quiet, ears will adapt. The quieter the room, the more things you hear. You’ll hear your heart beating; sometimes you can hear your lungs, hear your stomach gurgling loudly. In the anechoic chamber, you become the sound." The longest anyone has lasted is 45 minutes. Photo: Wide angle view of Boabab trees below starry night skies.